Shown above (from left) are: Elise Wagner, partner, Kramer, Levin, Naftalis & Frankel LLP; Pat Hauserman, first VP, AECOM; Ione Wilsmann, head of RE investments, United States Steel and Carnegie Pension Fund; Miriam Harris, exec. VP, Trinity Place Holdings Inc.; Beth Zafonte, consultant-economic development, Akerman LLP; honoree Sara Queen, Brookfield Properties; Suzanne St. Pierre, partner, Venable LLP; Allyson Martin, senior VP, strategic real estate advisor, HUB International; Laura Rapaport, senior VP-development, capital raising and acquisitions, L&L Holding Co.; Sonia Bain, real estate partner, Bryan Cave LLP; and Ellen Kendall, Rutgers University Center for RE Studies. 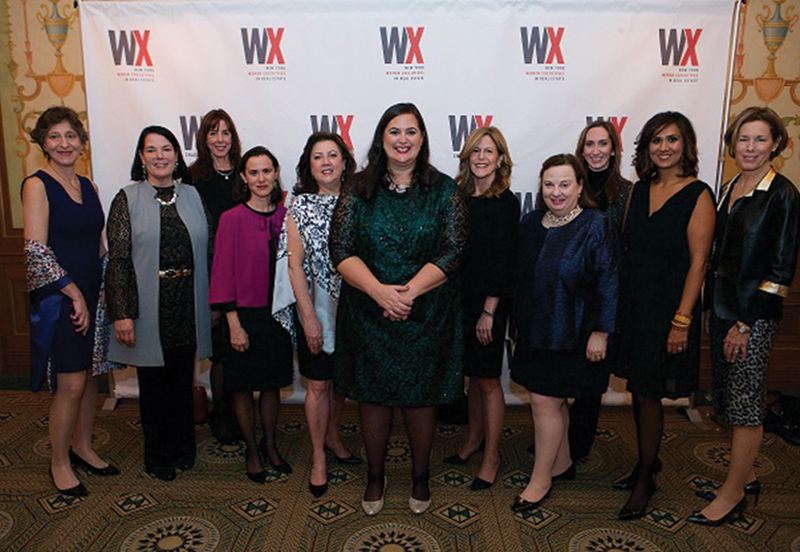 New York, NY WX New York Women Executives in Real Estate (WX) held its 2017 Annual Woman of the Year Gala honoring Sara Queen was held on Thursday, November 16, 2017 at The Pierre in New York City. The gala raised over $600,000 in support of the WX Scholarship Program, in a record-breaking fundraising year for the organization. During the evening, WX also paid tribute to longtime WX member and 2003 Woman of the Year honoree Alice Connell, who passed away earlier this year. 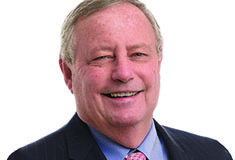 Connell, an active member of WX, was a trailblazer for women in the real estate industry, and a mentor both personally and professionally to many women and men in the real estate industry. Carmen Bowser, former managing vice president at Capital One Bank, introduced the tribute video, featuring WX members who highlighted Connell’s many accomplishments throughout her career and with WX. Queen has been an active member of WX for many years, participating in multiple WX committees, including the WX Scholarship committee, and previously serving as co-chair of the WX Gala. Sara currently sits on the WX Charitable Fund Board of Directors, and is a past WX Inc. board member. While leading the asset management team Brookfield Properties, Sara also took on a broader executive role, guiding strategic planning and representing Brookfield with co-investors throughout the U.S. She teaches classes in leasing and asset management as an adjunct professor at Columbia University’s Master of Science of Real Estate Development Program. Proceeds from the record-breaking fundraising event support the WX scholarship, internship and mentoring programs which aid talented young women in their pursuit of careers in the real estate industry. Contributions to the event also support WX’s other charitable initiatives including Nontraditional Employment for Women (NEW), Young Women’s Leadership School and Habitat for Humanity. WX New York Women Executives in Real Estate is an invitation-only association of executive-level women actively engaged in the commercial real estate industry in New York. The mission of WX is to promote the advancement of women in commercial real estate; to enhance public perception about the role of women in the industry; and to promote the highest standards of professionalism, ethics and integrity in the field. Through educational seminars, breakfasts with industry leaders, mentoring programs, scholarships, and special events, WX provides members with a forum for visibility and exchange, spotlights the accomplishments of individual women in the industry, and paves the way for the next generation of women in the field.